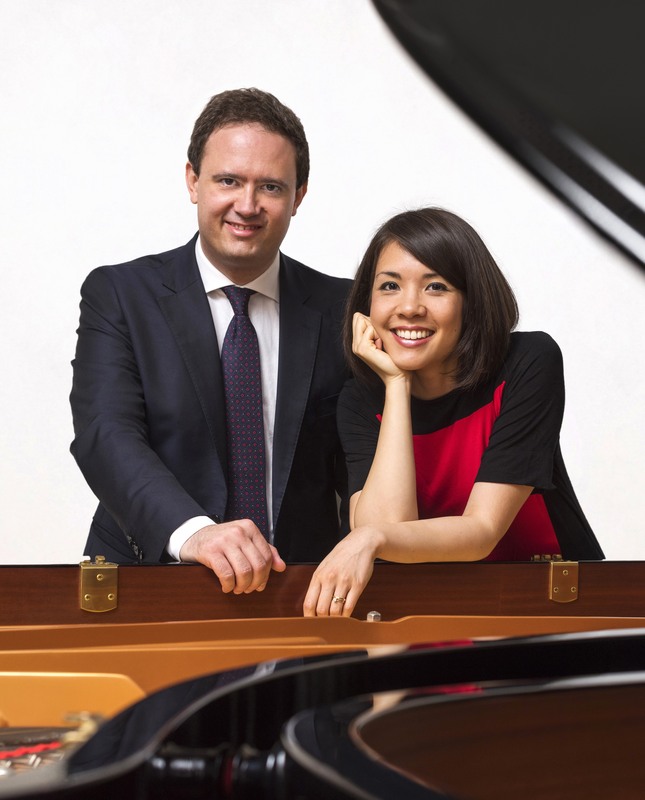 Stephanie Trick (from St. Louis), a leading exponent of stride piano, and Paolo Alderighi (from Milan), one of Italy’s foremost jazz pianists, met at a piano festival in Switzerland in 2008. Three years later, they started to collaborate on a four-hands piano project dedicated to classic jazz, preparing arrangements of songs from the swing era, as well as drawing from the ragtime and blues repertoire. Following the release of their first album, Two for One (2012), they have been invited to perform widely in the United States, Europe, and Japan. A second CD, Sentimental Journey (2014), shows Stephanie and Paolo’s commitment to the formula of four-hands duets on one piano, rarely used in jazz. Their partnership continued with Double Trio Live 2015 and Double Trio Always (2016), recorded in the piano trio setting, but with two pianists instead of one. In 2018, they released their first album on two pianos, Broadway and More. The husband-and-wife duo have performed in a variety of venues, including the Gilmore Keyboard Festival, Jazz at Filoli, the Musical Instrument Museum in Phoenix, the Kobe Jazz Street Festival in Japan, the London Jazz Festival, the Edinburgh Jazz & Blues Festival, the Ascona Jazz Festival in Switzerland, the Silkeborg Riverboat Jazz Festival in Denmark, the Bohém Ragtime & Jazz Festival in Hungary, Teatro Dal Verme Milano, Jazzland in Vienna, Jazz Bistro in Toronto, and other jazz clubs.